As the local residents and worker’s champion for better health and social care, we make an impact through our reports which influence decision making from clinical commissioning to council services. This section contains profiles of our latest reports and other relevant data which we use as evidence to impact better delivery of services. Read our half yearly reports and business plan here. You can also view our previous Enter and View reports (under Healthwatch Croydon Ltd). You can read our general data analysis here. Healthwatch Croydon has recently conducted a mystery shop of GPs in the borough of Croydon, we looked at a number of factors which highlighted some recommendations for improvement. We think this report makes for very interesting reading, especially the comments made from those GP surgeries that performed well and provided accurate information to local people in Croydon. Over the last couple of months, we have worked with members of the community as well as partner stakeholders to collect feedback on how Croydon’s Dementia carer’s have experienced local healthcare services. We have certainly heard a lot of heartfelt stories from this hard to reach group, the comments provided will certainly help to improve and shape future services. Find out what Healthwatch Croydon has been up to within the last couple of months, there have certainly been a lot of changes. We want you to find out about the feedback we have received from the community and how this information is going to help transform services, we also want you to find out more about patient experiences as well what our future projections will be. Find out more by clicking on the PDF download. Healthwatch Croydon invited Croydon residents to ask questions directly to those changing Croydon’s adult mental health services including NHS Croydon Clinical Commissioning Group and South London and Maudsley NHS Foundation Trust. Attendees got to hear more about the future of these services in Croydon in relation to national plans for mental health outlined in NHS England’s Implementing the Five Year Forward View for Mental Health. They got to give your views in three rounds of small-table discussion on: self-care and support; GP and community care; and acute hospital care. See the programme from the evening Read the programme for the evening. You can hear the presentations and follow slides presented below. SoundCloud recording: Welcome from Gordon Kay, (Healthwatch Croydon), Dr Agnelo Fernandes and Marlon Brown, (NHS Croydon CCG), Paris Congrave and Chris Fox (South London and Maudsley NHS Foundation Trust). Following our previous report published in February 2018, on homeless living in hostels, Healthwatch Croydon wanted in understand the views of those living on the street,working with Crisis Skylight Croydon. This report looks at those rough sleeping in Croydon and their access to health services. This report documents the results of a survey by Healthwatch Croydon of users of Personal Independence Coordinators, or PICs, in Croydon and their experience of the service. PICs is an output of the One Croydon Alliance of NHS providers, Croydon Council and Age UK Croydon. Read questions from Croydon residents and answers NHS Croydon CCG and One Croydon about changes to health services that were raised as part of our Meet the Changemakers event on 13 March 2018. Question and answer reports on Anticoagulation, Diabetes, Ear Nose and Throat, Musculoskeletal, and Group Consultation and Expert Patient Training have will be published soon. They are being checked with commissioners and clinical leads to ensure information is accurate. This report recorded the experiences of homeless people who were referred by the council into support hostels in November 2017. It found that adult homeless, particularly those with complex needs, were not supported by GP practices as well as younger homeless in similar accommodation and suggests considerations for service providers. This report focuses on how well GPs in Croydon have supported BME carers both in terms of their own health and wellbeing and in their caring role. Our study raises both areas of concern and highlights good practice in terms of the support that GPs are offering BME carers in Croydon. Three GP hubs were opened in Croydon in April 2017 offering walk-in services and booked appointments with GPs. Healthwatch Croydon visited the hubs over a two-week period in the summer to understand how the service was perceived by patients. Healthwatch Croydon conducted a survey at the Healthy Living Hub (HLH) between 23 and 30 March 2017. It had been advertised that some of services at the Healthy Living Hub were being reduced and given previous reductions in service, HWC were keen to understand how the service was perceived and experienced by the users. Our snapshot report aimed to register views on the current service and also understand where service users might go if this service did not exist. Engaging with 124 service users in total, we asked how they found out about the service, how often they use it, and which aspects they find most useful. We also asked where they would go, if they could not access the service. 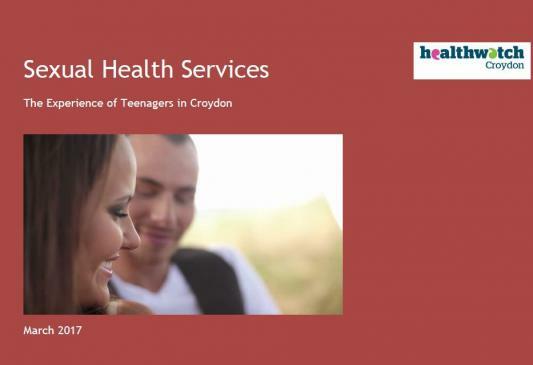 Healthwatch Croydon, the local champion for better health and social care, publishes its Sexual Health Services: The Experience of Teenagers in Croydon report today,based on the experiences of over 60 teenage users of sexual health services. As a result of the recommendations, Croydon Council’s Public Health team will work with Healthwatch Croydon to gain teenagers’ views on services at a workshop later in the year. Croydon has significant issues around the sexual health of teenagers and young people, with higher than average statistics for teenage pregnancy, repeated abortions, and diagnoses of sexually transmitted diseases, according to Croydon Public Health statistics. Healthwatch Croydon recommended that Croydon teenagers are invited to give their views on services to help the design of sexual health services in the borough to better meet their needs. For Croydon’s teenagers, accessibility, advertising and awareness of services, relevant help and support and delivery of services could be better. This has an impact on Croydon’s public health strategy to improve teenage sexual health outcomes. In this report we research the experience of refugees and asylum seekers. During the autumn of 2016 we engaged with 105 people of all ages, visiting organisations including Croydon Refugee Day Centre, Linguahouse CIC, British Red Cross and Tamil Family Association. We also talked to frontline staff at Crisis and the British Refugee Council. Croydon has 57 GP practices, with 403,045 registered patients according to NHS England. Healthwatch Croydon, the local champion for better health and social care, heard the views of over of 1,856 patients across Croydon from 1 September 2015 to 31 August 2016 with every practice represented. This report is reflective of their views, experiences and expectations of a service that nearly every resident uses. Residents are seeing Croydon’s GP services as less personal. Issues include difficulties in booking appointments by telephone, clinical judgements made by receptionists, and weeks of waiting for routine appointments with a preferred doctor. Many residents do not get to see a GP of choice, or a GP at all, with many not knowing who their GP is. This report looks at Croydon’s mental health services. It calls on health and social care providers to make the changes needed to deliver better care. This includes improving accessibility to services, users and their carers more involved in decision-making, more support and less emphasis on medication. Carers of people aged 65 and over in Croydon need far better support, according to a report by Healthwatch Croydon. This includes better communication between health providers and carers, more home support, better care planning, and better promotion of rights of carers. There are over 50,000 people in Croydon over 65. Croydon has over 33,000 carers, with a significant number looking after over-65s. Around 35% of those registered as carers with Croydon Carers Support Centre look after over-65s. Healthwatch Croydon, the local champion for better health and social care, heard the views of over 45 carers in Croydon in June 2016 gaining over 130 items of feedback. The survey took place at Boots Coulsdon, Boots Lower Addiscombe, Boots New Addington, Boots Old Coulsdon, Boots Parchmore Medical Centre, Boots Purley, Boots Whitgift Shopping Centre and Queenhill Medical Practice between 24 April and 20 May 2016. Our response to Croydon Health Services NHS Trust Quality Accounts 2015/16. A joint response to the South London and Maudsley NHS Foundation Trust (SLaM) Quality Accounts 2015/16 from Healthwatch Croydon, Southwark, Lambeth and Bromley & Lewisham. Healthwatch Croydon is compiling a report on the experience of local children and young people with Autism, and their families and carers. Key to this is the ability to access services, and level of support. The report and supporting documents may be found below. Supporting documents may be found below. On 2 February 2016, Healthwatch Croydon published Experiences of discharge from Croydon University Hospital by patients aged 65 years and over. The report, commissioned by Healthwatch Croydon and undertaken by Age UK Croydon presented some good news with four in five patients not delayed at all and of those that were, most only experiencing a short delay of around an hour. However, most patients were more concerned about a lack of knowledge about the whole process, lack of time to discuss issues with doctors, and lack of communications between pharmacy, GP and social care services. To launch the report, we planned a public meeting on 9 February at Age UK Croydon’s Scratchley Hall to gain further insight on these issues. In this report, we present some recommendations based on the experience of 40 people that attended which included former discharge patients, carers, residents, service providers, which further support the research report. We note that members of the Croydon Health Services NHS Trust and Croydon Clinical Commissioning Group also attended the event and thank them for their contribution. The trust in particular made some announcements and comments which we had included. This report examines the experiences of discharge of patients aged 65 and over at Croydon University Hospital, based on a survey of patients undertaken between May and November 2015. This was commissioned by Healthwatch Croydon and undertaken by Age UK Croydon. As part of its work, Healthwatch Croydon has scrutinised the local experience of Urgent Care and Emergency Services, engaging with residents in the community and at services, and researching local and national statistics. In this report, Healthwatch Croydon presents conclusions, along with findings of an Urgent Care and Emergency Services Public Meeting we hosted on 23rd November. The report looks at people’s collective experience, and also gives voice to their aspirations for future services. The Public Meeting, hosted by Healthwatch Croydon and attended by around 40 delegates, was an opportunity to record residents’ experiences specially on urgent care, and to get their views on the shape of future services. 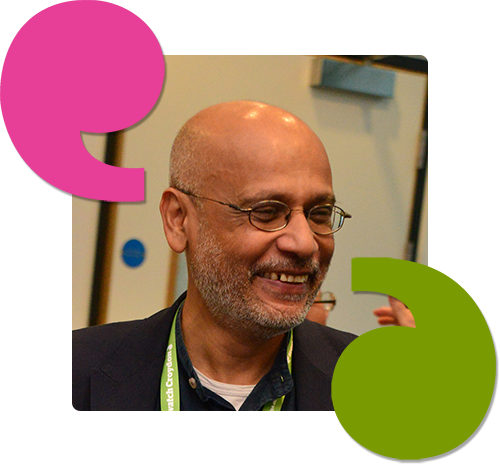 Volunteer and local resident Tariq Salim was one of two Healthwatch representatives on the NHS committee that oversaw the re-procurement of local Urgent Care services. Now the process is finalised, with contractors appointed, Tariq gives his views of the process below. This survey of mental health service users has found that they were admitted to a mental hospital ward due to lack of coordinated support services. The survey, carried out by Mind in Croydon, on behalf of Healthwatch Croydon, showed that a lack of support contributed to their admission to a Bethlem Royal Hospital ward between December 2014 and April 2015. Issues included: self-care advice over medications and treatment; not being listened to; and not being given effective personal support over personal relationships. Added to this was a heavy-handed use of legal measures and an inconsistent development and application of care plans.